Crossbeam Systems revolutionizes the network security architecture in order to: automate tasks to reduce costs, consolidate networks’ security etc. A5 binder in silkscreen PVC. Design and production of the products. 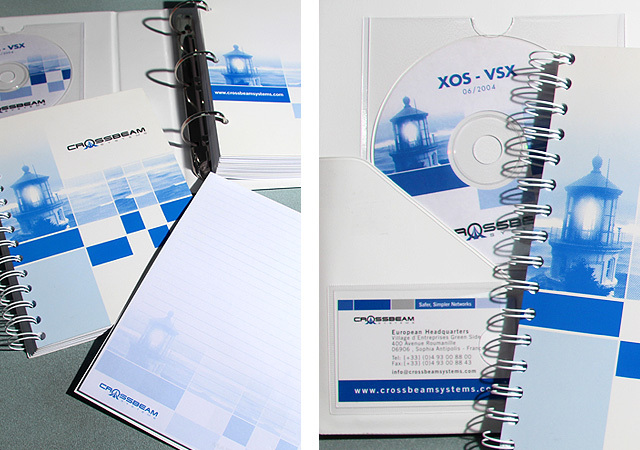 Dividers, inside pages perforated, ‎inside cover, business card holder, CD-Rom production, printout, binder preparation, shipment of the complete set of products. The little plus to satisfy our clients!